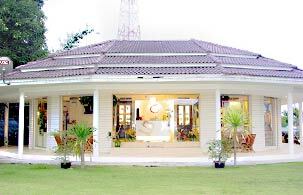 The first health & beauty clinique in the southern part of Thailand is right here in Phuket. SenSes is a full service salon offering beauty treatments and products from the U.S.A. and Europe. We are the new modern with highest technology and creative staff who is able to communicate in English with the accent on the cleanliness. Starts with Cellu M6® Keymodule S LPG®, the world leader in connective tissue treatment by to improve micro-circulation, mobilize connective tissue, redesign body contours, restore skin elasticity, firm the skin and relax the skin. The machine Endermologie (Cellu M6-LPG) from France is validated effect in the treatment of cellulite body slimming and body contour. Moreover, our skilled Beauticians are able to give you advice professionally. Professional hairstylists create and manage hair treatment for men and women of all ages. From hair coloring to extensions, deep conditioning treatments to basic haircuts; our staff is capable of handling all hair styles for any occasion. We invite you to experience the fashionable and uniqueness of our facility. Professional and experienced Nail Artists trained in Bangkok. We also offer a hand and foot spa, nails acrylic extension and nails accessories from EZFlow (U.S.A.).